The following excerpt is taken from an interview conducted by Vickianne Caswell. 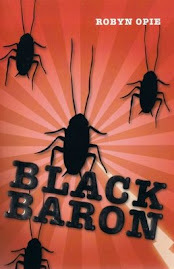 Thank you, Vickianne, for interviewing me and allowing me to reprint this excerpt on my blog. Please CLICK HERE to read the original interview on Vickianne's website. 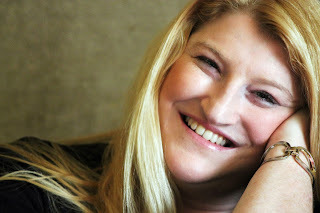 Today's interview is with children's author, Robyn Opie Parnell. Robyn also goes by the name Robyn Opie. Robyn has published many books. You will find a small list of them below as there are currently 90 books in publication. Robyn's writing career consists of writing children's books (both fiction and non-fiction) and family screenplays. Robyn currently lives in Adelaide, South Australia. Vickianne: What inspired you to start writing? Robyn: When I was fifteen, my English teacher gave me an A for every essay I wrote. One day, as he handed me back an essay, he said, “You should be a writer.” At the time, I hadn’t given any thought to people writing books. I only thought about the characters and the stories. Thanks to my English teacher I realized I, too, could write a book. So I did! Vickianne: Tell me a little bit about you, in brief. Robyn: I’m the author of 90 published books, most of which are children’s books. From 1994, I spent about five years reading every book I could find on writing children’s books. I also did two courses, one on picture books and the other on writing for children. My first three children’s books, Jen Stays Inside, People Need Trucks and My Bike were published in 1999 by Macmillan Education. Three of my homework assignments – three short chapter books – which I completed for the writing for children course were published by Macmillan Education in 2000. Nowadays, I have a strong interest in spiritualism. In 2010, I had my first experiences as a psychic medium. Yes, I can talk to dead people. I’m the Treasurer of the Spiritual Mission of Noarlunga Inc. On a personal note, I’m married to writer/composer/director Rob Parnell. Robyn: Technically, my latest book is The Easy Way To Write Picture Books That Sell. Hopefully the title says it all. 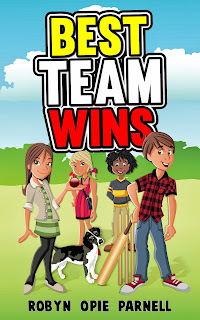 My latest fiction book is Best Team Wins, a humorous story about who's best at cricket: the boys or the girls! Ella stops to watch a group of boys play cricket. She asks if she can join in their game. They react as if she's a zombie asking to join the church choir! According to the boys, girls can't play cricket. Ella will ruin their game. The boys' comments make Ella so cross that she agrees to a boys versus girls cricket match. But there's a big problem. 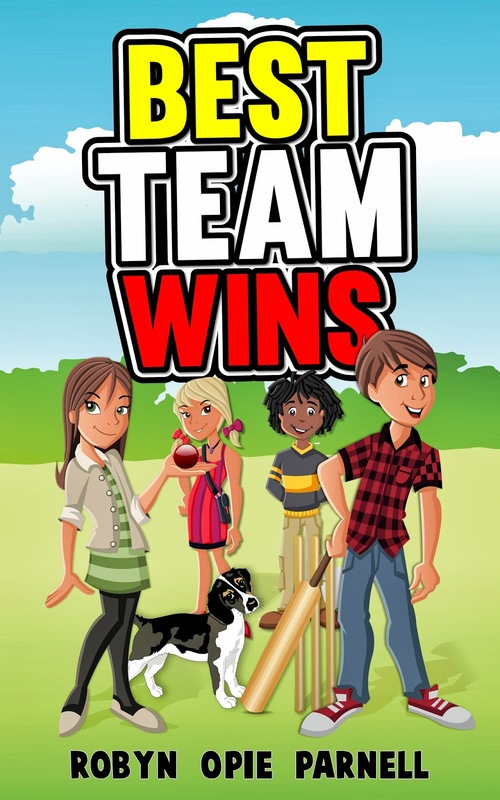 Ella doesn't have a cricket team. She has to find a team by the end of the week – a team good enough to beat the boys! Again Ella encounters a big problem. She can't find other girls who play cricket. She has to teach the girls and turn them into cricket stars in time to beat the boys. Ella faces another problem. Her team is one player short. Who will she get to fill the gap? Her friend Madison? Her Aunt Anna? Jessie the dog? Don't be silly, dogs can't play cricket! On the big day, the best team wins... Is it the boys' team? Is it the girls' team? Who is the secret weapon? Vickianne: Tell me more about your love for animals and the pets that you have now. Robyn: I have a dog named Wally and a cat named Ludo. They are both 14 months old. There are photos of Wally and Ludo on my Facebook page - https://www.facebook.com/robyn.opieparnell.3. One of my passions is animals. I support several charities that help animals. People can help themselves but animals are helpless. Animals depend on us. We can destroy animals and their habitats, or we can protect animals and their habitats. Animals can’t speak for themselves. Animals can’t fight for their rights. It’s really up to us. Vickianne: Tell me more about your love for sports and what brought on the interest for each of these? Please CLICK HERE tor read the rest of the interview.